The eLearning localization process is a critical step for training workers in their native languages and cultures, and for the organization to ultimately function as a global unit. The development of multilingual classroom-based learning was once complex and time-consuming, but today eLearning localization is a more streamlined and straightforward endeavor. However, unless you have been through an eLearning localization project from start to finish, you may not know exactly what goes into each step, and preparing for the localization process from the very start of the project can help save a lot of difficulty later. Whether you work with a professional translation company, an in-house resource, or freelance translators, there are some best practices to consider when developing eLearning programs in order to ensure they are easily localized and produce the right results, no matter where your audience is located. If your content is going to successfully connect with international audiences, clarity is the goal. Translation-friendly text will not only help your global trainees better comprehend and engage the course, it will help reduce overall cost (and headaches) in the long run. Further, you may need to consider the infrastructure realities in certain countries. Bandwidth and hardware issues, or even computer/Internet accessibility, might influence the types of content you develop. As you develop eLearning courses, keep source files labeled and organized, and retain identical localized structures across all languages. This will ensure that whomever is doing the localization is working on only the final English files used to create the course. The localization process will require access to more than just the final published course. Individual source files for audio, video, graphics, and support documentation will each need to be translated in order to accurately localize the course. A project folder that contains all notes, resources, and production files, and then create master folders for all assets (like videos and images) and published courses. Folders for each course, and within that folder, create additional folders to contain all files, assets, and published material. Label them appropriately (i.e., PowerPoint, Images, Videos, Notes, Script, Audio, etc.). A generic folder structure that can be replicated with each new project; this is great for file sharing. Once you have developed a “master” course that you’re truly proud of, conduct a series of tests to ensure it’s 100% free of errors before localizing. Make sure to have a comprehensive quality assurance process in place, as it may be difficult for you to spot mistakes after several months of intense work. It will be easier for a third party to identify issues around things like functionality and inconsistencies in punctuation, formatting, and terminology. The time and effort it takes to test the content in English will be well worth it. Not only willy you save money in long run, you'll ensure that all training objectives are actually being met. You may be tempted to create all versions of your eLearning course at the same time, but you should carefully craft and perfect your English master course first. Even without the task of localizing content, developing an effective eLearning course is a big job, so invest the time up front to iron out any wrinkles. Once you have the English version of your eLearning completely finalized, edited, and tested, it’s then appropriate to move on to localization. This way you can feel confident that your global workforce will have positive and meaningful experiences with each version of the course. As you carefully build your master course, avoid embedding text into your graphics, videos, images, or charts. Embedded text can’t be extracted and will require the creation of a new file, which means additional time and money. While embedded text may look great and function beautifully in your English course, it will create challenges and extra work when it’s time to localize the content. Most eLearning programs include written content, graphics, cursor movement captures, navigation buttons, assessments, and audio. Each of these components can be localized, but if you attempt to do it on your own, you run the risk of creating a distracting and low-quality course. Don’t cut costs when it comes to hiring eLearning experts and an experienced professional localization company. In the end, the finished product will help you establish credibility with international employees and leave you feeling confident that you’re offering an excellent eLearning course. It is possible for the development of a multilingual eLearning course to be a smooth and even enjoyable process. While it’s best to not begin actual translation until the English course is completed, consider translation early on, versus it being an afterthought late in the game. Experienced translation resources can provide tips and suggestions to maximize efficiency. 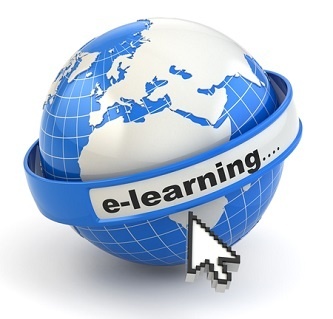 Self-paced eLearning, virtual ILT, and mobile learning are here to stay. Invest the time and resources to make it a great experience for your global workforce.